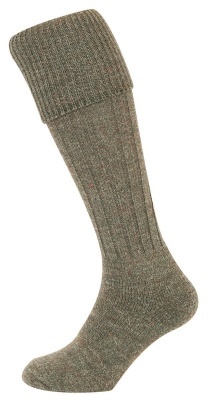 The Hoggs of Fife Country Ribbed Knit Stockinghas been knitted using the finest British worsted wool yarns. The 70% Wool and 30% Nylon mix has been used to give fantastic warmth, durability and moisture absorption. The Country Ribbed stocking looks great with a pair of moleskin breeks, and feel fantastic in a pair of wellington boots!